Formet Industries, a first-tier supplier, has placed what is thought to be the biggest order ever for arc welding and laser cutting robots: more than 450 robots. The equipment will be used in the production of truck frames in a new St. Thomas, Ontario, plant. The robots are being sourced from Fanuc Robotics. Historically, robots have been primarily utilized in automotive assembly facilities. Although die casting was the original application for industrial robots, the need in final assembly plants that the machines found as what became a huge niche is in resistance welding. Rather than having a person wield a heavy spot welding gun and move along a body-in-white-in-becoming, a robot, for which weight is really just another parameter, could do the job quite well. Over time, there have been plenty of other applications added to the robotic repertoire in auto plants—painting, material handling, assembly, arc welding, machine load-unload, and inspection among them. But one thing has also been happening during this period of time. The auto companies have been outsourcing more of their production needs. The consequences of this is that first-tier suppliers are finding that they now have bigger tasks to handle. Not only does this mean that they are having to do more design and engineering—things which are somewhat out of the box for some of them—but even on the production floor they are finding themselves—because of the combination of requirements for volume, quality and cost competitiveness—having to do things which may not have been necessary in the past. To be sure, the spot welding robots are still plugging away at the OEM plants. They will continue to do so. By and large, that part of manufacturing is not likely to be outsourced—at least not in any big way—anytime soon. Or at any time in the foreseeable future, for that matter. But given such considerations as the price of floor space in a final assembly plant, more and more OEMs are turning to having more completed subassemblies being brought to line side for installation rather than having as much build-up on the line. Which leads, in many cases, to additional work by suppliers. One of the results of this shift of work to suppliers is a proliferation of robots. In September, Fanuc Robotics North America (Auburn Hills, MI) announced what it claims is the largest order for a robotic arc welding and laser cutting order in history: Formet Industries, a division of Magna International, ordered more than 450 robots. The system will be used to automate truck frame production for a new plant in St. Thomas, Ontario. When everything is up and running, the plant will be producing 5,000 truck frames per day. The robots will be performing arc welding, laser cutting and material handling. Note that this is the biggest order for arc welding and laser cutting robots by any company. Which means that in this instance, a supplier has actually placed a larger order than an OEM for robotic equipment. To get a better understanding of what's going on with regard to robotic implementation among first-tier suppliers, we talked with Don Brown, Fanuc Robotics' vice president, Automotive Div./Latin America. 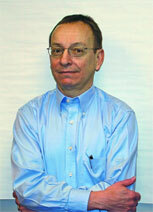 His responsibility covers auto OEMs and suppliers in both North and South America. Brown observes, "During the last three years, and going forward the next three to five, we've seen the components business growing, as the Big Three and the transplant companies increase their outsourcing." One of the differences that Brown sees between the way the first-tier suppliers are going after robotic systems versus the way that many of the auto companies have traditionally done is that an increasing percentage of suppliers (from about 5% five years ago to some 30 to 50% today) "think process solutions." In other words, they are looking more at yields and throughput than just the specs of the robots. "They aren't as interested in the nuts and bolts as they are in what they are going to get out of the robot system," Brown says. He notes that many of the suppliers are interested in turnkey solutions. Perhaps one of the differences between the historic OEM approach and that of today's suppliers is the fact that the suppliers are working with more limited resources so far as engineering goes. Consequently, rather than being intimately involved in the creation of a system, they are more reliant upon the robotic system suppliers. (How involved were OEMs in robotic system development: Well, although this is something of an extreme case, realize that Fanuc Robotics began life as GMFanuc Robotics; the automaker was actually a joint venture partner in the robotic company for a number of years. Reliability, he says, is pretty much a given so far as suppliers (and OEMs) are concerned. Flexibility and user-friendliness are key considerations. With regard to investment, he is finding that there tends to be a focus on total lifecycle costs rather than just on the initial costs. Brown says that Fanuc Robotics personnel like to perform a value analysis for prospects. He explains that this involves an evaluation of what is being done today compared with what is being proposed and a calculation of what the return on investment (ROI) will be during the life of the project. He admits that performing such an analysis requires a "hand-in-glove" relationship between the prospect and the robot manufacturer as present costs and predictions of future costs must be shared in order to attain a viable ROI projection. 1. Process knowledge. Does the robot company understand the needs of, say, a stamping and welding operation, which is different from a machine tending operation? 2. Reliability and maintainability. Although robots tend to work well, there is still the concern about keeping them up and running. Just-in-time deliveries leave little time for downtime. 3. Ease of use. This is something of an intangible—what's easy for someone might be a task for someone else. But this is still an important consideration, no matter how it is calculated. 4. Support. What will the robot company do beyond providing robots? 5. Integration of process controls. How well does the automation equipment fit into the entire information infrastructure within the organization? If you're a first-tier (or even at another tier) supplier, you might want to keep these items in mind. Although doing the spread sheet analysis (i.e., payload to payload, axes to axes, reach to reach, etc.) may be useful, a more holistic view of automation can result in better integration. 1. Device level. This is all the way down to sensors, limit switches and other feedback devices. Also includes the teach pendant. 2. Cell level. This is the robot process controller. 3. Line level. Programmable controllers generally manage, control and monitor cells. 4. Systems level. Integrating with higher-level processors for overall production management requirements. 5. Plant level. Tying together the lower-level controllers with the host or mainframe. "Integration of controls," he observes, "is one of the main concerns of first-tier suppliers."